The Day & Night brand is manufactured by the same company that builds Carrier air conditioning and heating equipment. Here at Magic Touch Mechanical in Mesa, AZ., we initially installed this brand for our clients with manufactured homes. Day & Night packaged heat pumps, gas-packs, and down-flow split systems work exceptionally well with handling smaller ducts found in these homes. After seeing the durability and reliability of this brand, we decided to offer the complete line. The Day and Night Deluxe 15 PHR5 Packaged Heat Pump is no exception. 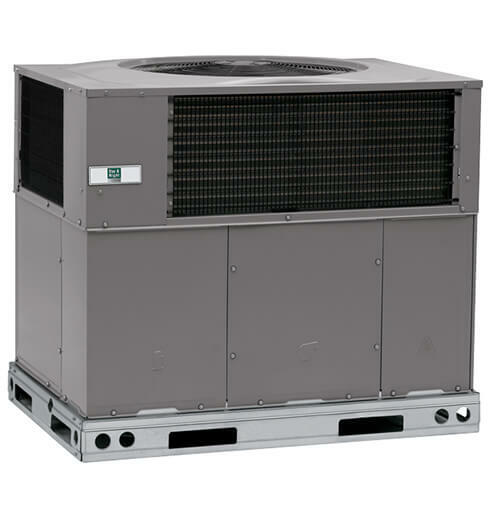 It has earned it’s spot amongst some of the more well known brand package units we sell like Lennox and Trane. The Day & Night Deluxe 15 PHR5 Constant Comfort Packaged Heat Pump offers moderately high efficiency ratings for a package unit. The highest efficiency models currently on the market in this category top out at 16 SEER. Most people are surprised to learn that a heat pump is really just air conditioning in reverse when heating. In fact, the one component that makes a heat pump a heat pump is called a reversing valve. This valve literally reverses the flow of refrigerant. Since the compressor in this unit is the actual 2-speed component that makes “two-stages” possible, it has two speeds in heating as well. Day & Night engineers got the quiet part down to a science with the Deluxe 15 PHR5. This model operates as low as 68dB (decibels). That rating earns this model best-in-class status even among the premium name brands. An efficient multi-speed ECM blower motor. ECM stands for an “electronically commutated motor” meaning the motor can vary its speeds using its electronic controls. An electronic reversing valve control to shift from heating to cooling quietly. Multiple safety devices protecting critical components if a problem is detected. Can be utilized in both ground-mount and rooftop applications. 10-Year Parts Limited Warranty±+No Hassle Replacement Limited Warranty: If the compressor, coil or heat exchanger fails due to defect during the applicable No Hassle Replacement limited warranty time period, a one-time replacement with a comparable unit will be provided. Customer is responsible for labor, crane, and ancillary items needed for replacement.±10-Year Parts Limited Warranty: Timely registration required for 10-year parts limited warranty. 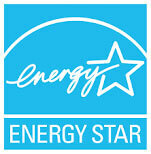 Limited warranty period is 5 years if not registered within 90 days of installation. When you choose Magic Touch Mechanical to install your new Day and Night Deluxe 15 PHR5 we will register your equipment for you! We provide air conditioner installation to the entire Phoenix, AZ metropolitan area and nearby cities.